Let our PlanSCAPE Experts cure your facility's space planning and FF&E headaches. 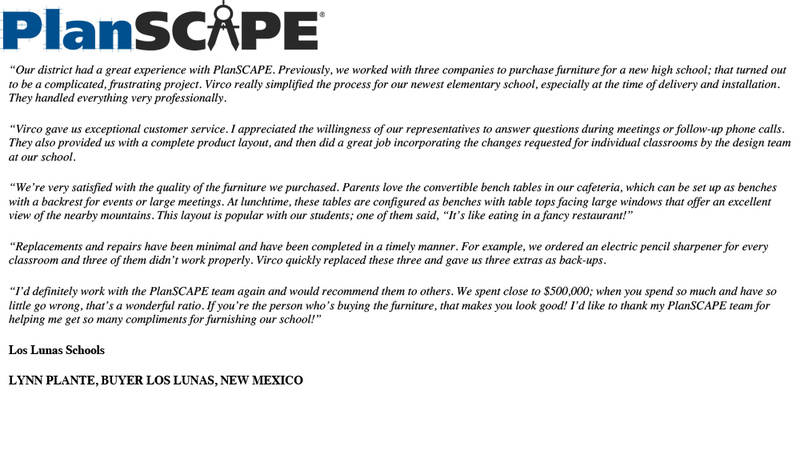 PlanSCAPE® is the answer for customers needing help with planning and procurement of furniture, fixtures and equipment. Ask anyone who’s done it the hard way; large-scale furniture and equipment acquisitions can eat up your time and energy. 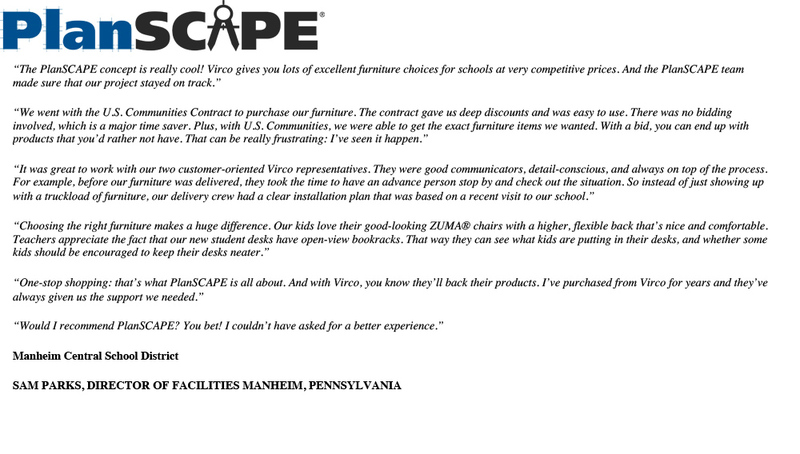 Then, ask anyone who’s used Virco’s PlanSCAPE service how easy a successful FF&E purchase can be! PlanSCAPE takes the stress and anxiety out of FF&E purchases. 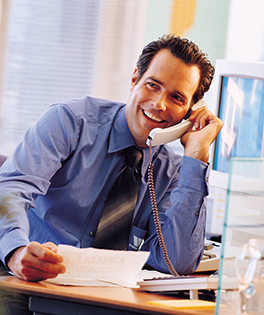 We give you the industry’s best combination of service, convenience and savings. 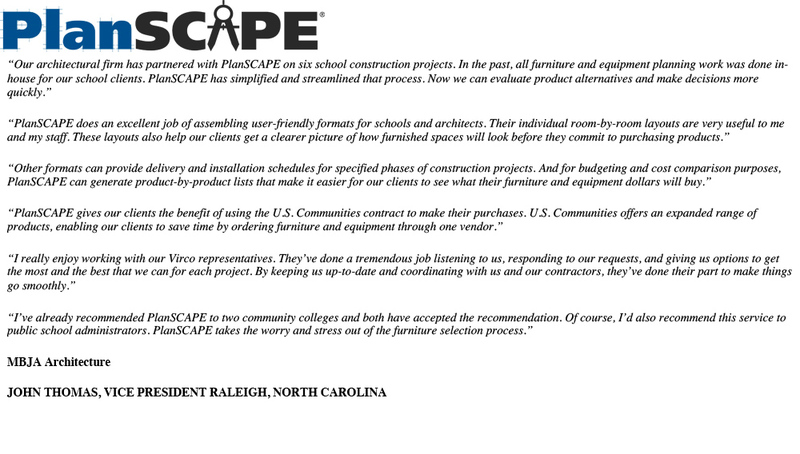 And since PlanSCAPE gives you access to the easy-to-use U.S. Communities™ contract, you can purchase furniture and equipment at great prices without the hassles of bidding. 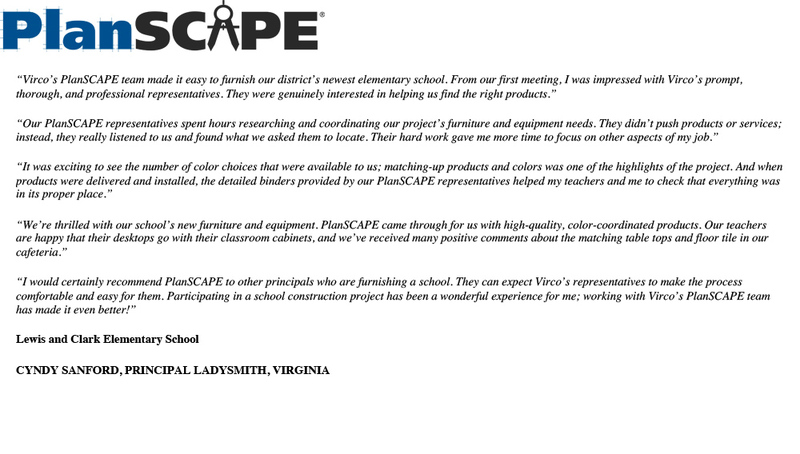 Educators and other professionals have provided glowing PlanSCAPE testimonials. So why not put PlanSCAPE to the test? 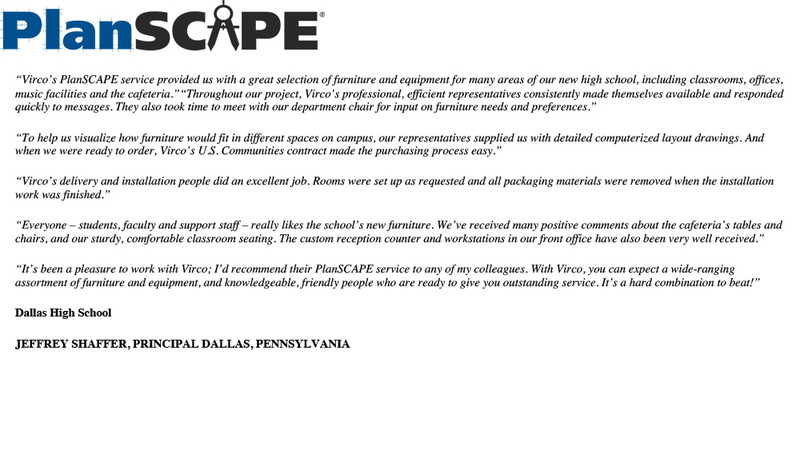 Experienced PlanSCAPE® professionals work with you to expertly assess your school’s individual needs and requirements. 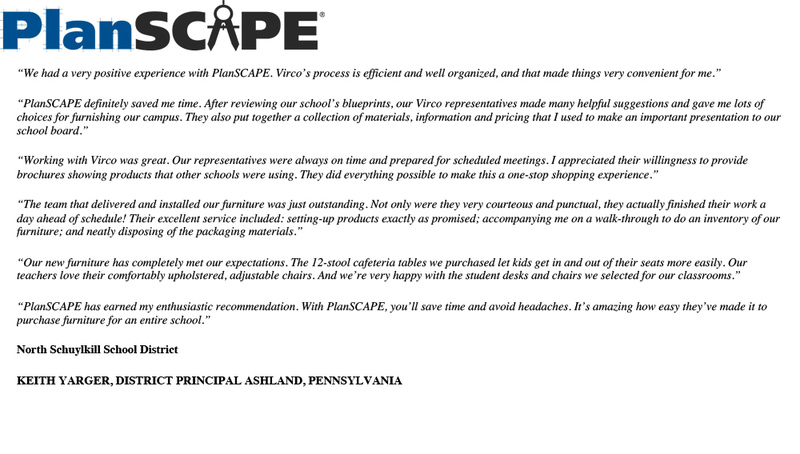 A PlanSCAPE® budget analysis compares the features, benefits and prices of competing products, so you can target the specific combination of furniture and equipment that makes the most sense for your school. 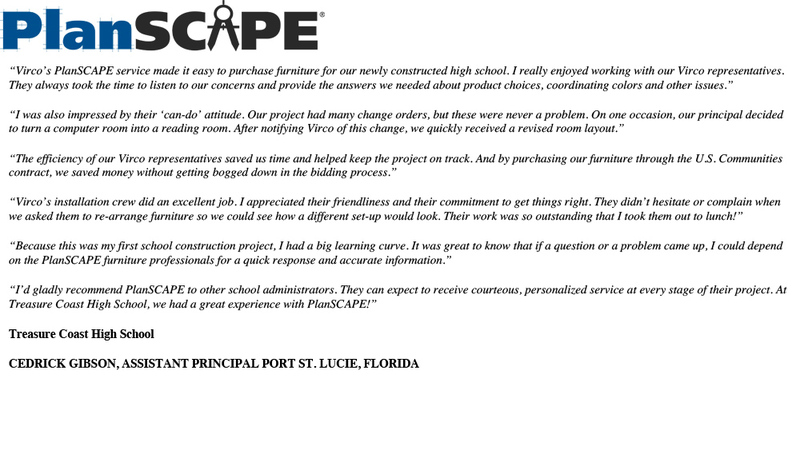 Using the state or national contract that best suits your situation, you can purchase furniture and equipment for your school through PlanSCAPE® at excellent prices. 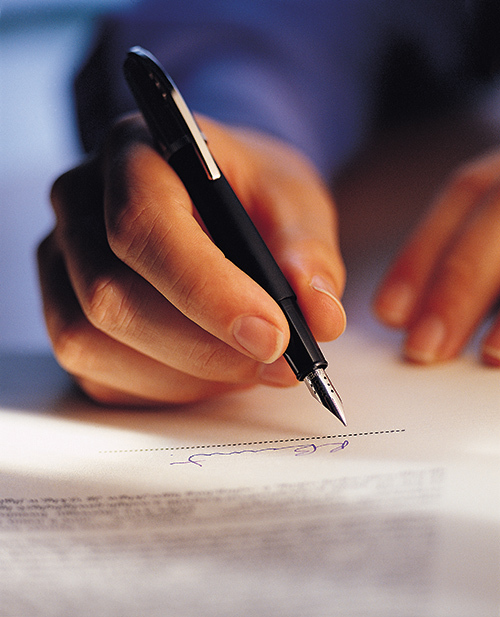 Compared to everything that’s involved in the bidding process, contract procurement is a great way to save both time and money. 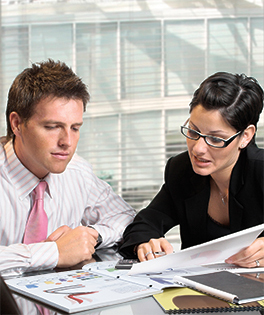 With PlanSCAPE®, communication is the key to successful, stress-free project management. We know how busy your schedule is, especially when it includes a major project like an FF&E purchase. 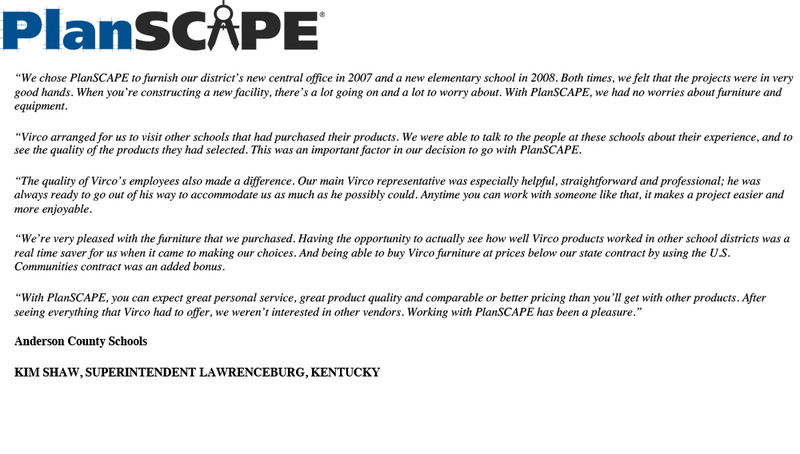 Once your PlanSCAPE project begins, we’ll stay in touch with you every step of the way.